Wat is dit voor site? Wij zoeken de goedkoopste boeken op internet. Almost Silentvonden we het goedkoopst op Bol.com voor €21.99. We hebben gezocht in nieuwe en tweedehands boeken. Rechtsonderaan de pagina kan je het boek direct bestellen	via Bol	.com. You Cant Get There From Here, the longest story of the book (and the only one to be printed in colorwell, a color), tells the tale of a love triangle involving Frankenstein, Frankensteins Monster, and The Monsters Bride: Jason cleverly alternates between totally silent sequences involving the three characters and scenes in which Frankensteins hunchbacked assistant discusses the days events with a fellow hunchbacked assistant to another mad scientist. (You didnt know they had a union?) Tell Me Something is a brisk (271 panels), near-totally-silent (just a few intertitles) graphic novelette about love lost and found again, told with a tricky mixture of forward- and back-flashing narrative. Meow, Baby! is a collection of Jasons short stories and gags, and finally, The Living and the Dead is a hilariously deadpan (and gory) take on the traditional Romero-style zombie thriller. All of these yarns star Jasons patented cast of tight-lipped (or -beaked) bird-, dog-, cat- and wolf-people, and show off his compassion and wry wit. 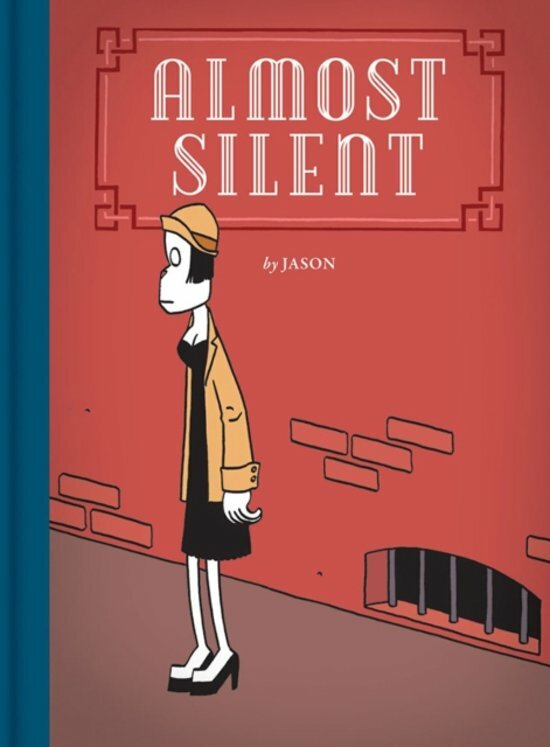 Almost Silent is a perfect starting point for a new reader wanting to know what the fuss is all about, and a handsome, handy, inexpensive collection for the committed Jason fan.